Products > Away in a Manger Santa by Jim Shore Heartwood Creek **NEW**SOLD OUT! NEW FOR 2015! 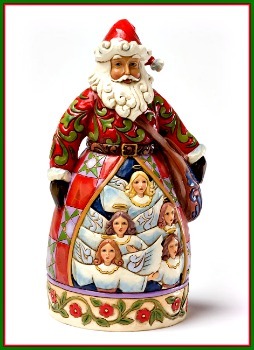 Away in a Manger Santa by Jim Shore Heartwood Creek from Enesco. The 9th in the series of Christmas Song Santas features a beloved Christmas carol about the true meaning of the season. 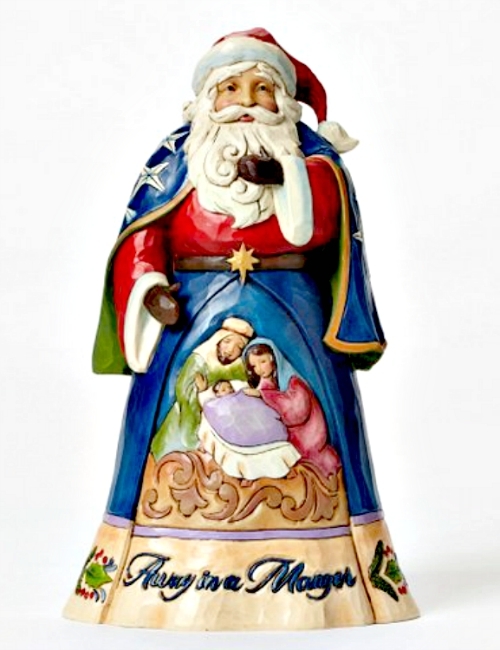 Santas richly adorned robe features a combination of folk art patterning and Jim Shores heartfelt depiction of the First Christmas. Made of Stone Resin. Measures 10.25"H x 5.625"W x 6.125"L.